As the Executive Director and Founder of Children of War Foundation, Amel is engaged in all aspects of the organization, aligning her responsibilities around strategic priorities, with oversight to develop, innovate and drive implementation of the organization’s vision, goals, and key initiatives. 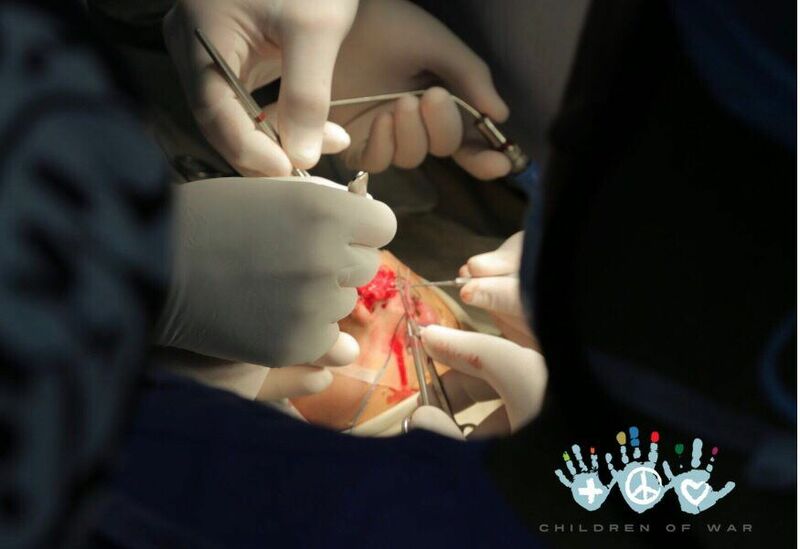 Through her vision, Children of War Foundation provides transformative, surgical & preventative healthcare, and medical education to marginalized children and healthcare professionals in underrepresented communities. In addition to advocating for COWF, Amel sits on several governing boards for international organizations, advises on projects in the areas of social and international development, as well as an active ambassador for Children's Hospital L.A., advocating for current life altering research and initiatives in neonatal and pediatric surgery. She has also worked with, volunteered, partnered and affiliated COWF with various private and public entities, and non-governmental organizations, including ; U.N.H.C.R., U.N.I.C.E.F., International Health City Dubai, International Rescue Committee, Airbel Center Innovation at IRC, Caritas International, Farah Medical Campus-Jordan, Italian Hospital-Amman, Bernard Mevs Hospital Haiti, Operation Smile, Al-Taif Eye Center-Jordan, Children’s Hospital Los Angeles, Miami Jackson Hospital, Boston Children's, Shriners Hospital Los Angeles, Mayo Clinic, Royal Medical Services of Jordan, Ramallah Children's Hospital, American Near East Refugee Aid, Sadaqa Women's Rights, Ronald McDonald House Charities, Jordan Hospital, American Red Cross, among others. Amel is an advocate for human rights concerns, including access to global development opportunities, children's welfare, secular education & inclusive empowerment. Having traveled to nearly 90 countries, and 15 years of front line experience, working with displaced and marginalized communities, Amel's interest and expertise also include; social and infrastructure development of emerging and developing market economies , sustainable economic development, alternative investment solutions, micro & social finance initiatives, global resettlement/migration/refugee population integration, and healthcare through technology solutions. B.A. University of California San Diego, Political Science and International Relations & minor Middle East Studies. Women's Transforming Leadership Program at University of Oxford, Said Business School. Dr. Colin Brady is board certified in General Surgery and Plastic Surgery. He is a staff surgeon at Children’s Healthcare of Atlanta and holds an adjunct faculty appointment at Emory University School of Medicine. Dr. Brady earned his doctorate in Medicine at The Ohio State University: College of Medicine and Public Health. He then completed a 7-year General Surgery residency at Emory University Hospital. He remained at Emory University to complete his formal training in Plastic and Reconstructive Surgery. Following, 10 years of training at Emory, he completed a fellowship in Pediatric Plastic and Craniofacial Surgery at Children’s Hospital Los Angeles, University of Southern California. Dr. Brady has co-authored a number of peer-reviewed publications and book chapters covering principles and practices of craniomaxillofacial surgery. His interests include craniofacial surgery, cleft care paradigm, orthognathic surgery, pediatric plastic surgery, and facial reanimation. Henri R. Ford, M.D., MHA, is the dean of the University of Miami Leonard M. Miller School of Medicine. He was most recently senior vice president and chief of surgery at the Children’s Hospital Los Angeles (CHLA), vice dean of medical education, and professor and vice chair for clinical affairs in the Department of Surgery at the Keck School of Medicine of the University of Southern California. Dr. Ford was professor and chief of the Division of Pediatric Surgery and surgeon-in-chief at the Children’s Hospital of Pittsburgh and the University of Pittsburgh School of Medicine before joining CHLA in January 2005. Jeffrey Hammoudeh, M.D., D.D.S., F.A.C.S., is one of an elite very small group of surgeons in the United States that is board-certified in oral maxillofacial surgery as well as plastic surgery with additional craniofacial fellowship training. 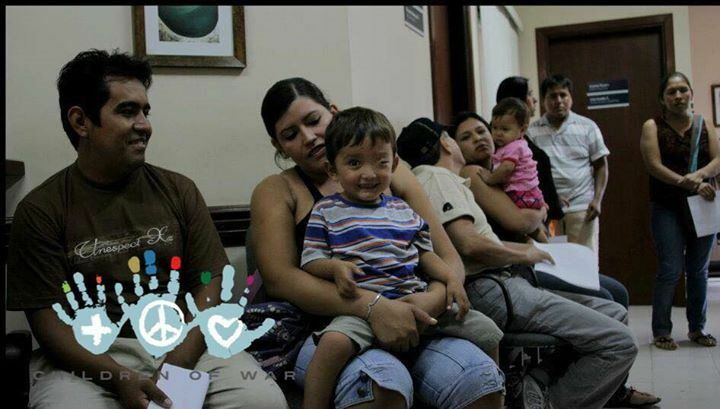 He is director of the Jaw Deformities Care Program within the division of Plastic and Maxillofacial Surgery at Children's Hospital Los Angeles. Dr. Hammoudeh earned his medical and dental degrees from Northwestern University. This was followed by surgical internships in oral surgery and general surgery at Northwestern Memorial Hospital and Rush University Medical Center. Subsequent to that, he went on to complete his formal training in oral and maxillofacial surgery at the Harvard Program based out of the Mass General Hospital. During that training, Dr. Hammoudeh did additional training in general surgery and then subsequently utilized that foundation to do a fellowship in plastic and reconstructive surgery at the University of Miami. After completing his double doctorate and two residencies, he then moved on to the University of Southern California at Children's Hospital Los Angeles, where he completed a fellowship in pediatric plastic and craniofacial surgery. Dr. Hammoudeh is an Associate Professor and a leader at his field at Children's Hospital Los Angeles with faculty appointment at the Keck School of Medicine of the University of Southern California as well as the Herman Ostrow School of Dentistry of USC. In addition to his leadership positions at Children's Hospital Los Angeles, Dr. Hammoudeh is a recognized leader in pediatric plastic surgery and has active research in neonatal cleft lip repair, neonatal distraction, and craniofacial reconstruction of the jaws. He is the primary investigator and the lead author and surgeon in neonatal cleft lip repair where currently children born with cleft lip and palates are able to undergo their cleft lip repair as early as two weeks of life. He has co-authored many book chapters, peer-reviewed journal articles, lectured nationally as well as internationally. He is a recognized leader in the field and provides cutting-edge care to children in Los Angeles. London and Dubai based, Dr. Shawana Vali is founder of the London Medi-Spa, a luxury brand, providing Cosmetic Dermatology and Aesthetic Medical solutions; written by a Board of accredited Doctors worldwide, bringing the most innovative treatments directly to the consumer. In addition to overseeing and practicing in her flagship office. Dr. Vali leads COWF's U.K. based board, driving core initiatives for the organization's medical missions and Global Health outreach. Nadia leads COWF's Global Health outreach in Jordan, she is a Jordanian-American Producer, Line Producer and Field Producer of many years locally and internationally, working with mainstream TV and reality TV, as well as various documentary films. Based between Los Angeles and Amman, Nadia has extensive experience in humanitarian aid work in addition to production consultancy in underrepresented regions and the mid east, including production, casting, directing, editing, landscape photography, among other entertainment specialties. She is owner and founder or Green Bananas Productions and sits on the board of Children of War Foundation. Nadia is active with a number of Non-Governmental Organizations in Los Angeles and Jordan, having that influence by growing up in a family that is very active and successful in social change and advancement in the Mid East Region. Nadia is extremely passionate about issues that face our society today, in particular, women’s rights, disability rights, children’s rights, environment, heritage and culture She believes in using the power of media and film as a tool not only to entertain but also to educate, raise awareness and bring about positive social change. Nadia share an Emmy Award with the Children's Hospital Los Angeles and the Children of War Foundation on a short documentary, based on the inspiring journey of COWF’s first candidate, an Iraqi boy named Hashim, a victim of a roadside bomb. In addition to her Emmy, international Film Festival involvement and other awards, Nadia has also worked with and was mentored by Academy Award-winning director Morgan Neville and director Larry Charles. Nadia leads COWF's team in Jordan along with local team members residing in the region. Retired Maj. Gen. Dr. Khaldoun Haddadin, BSc, MB ChB, FRCS graduated from St. Andrews (BSc 1982) and Manchester University (MB ChB 1985). He is Jordanian Board certified in General Surgery (1991) and Plastic and Reconstructive Surgery (1995). He is a Fellow of the Royal College of Surgeons of England since 1996. He completed his Post-Graduate Training in Plastic Surgery at Canniesburn Hospital, Glasgow UK. He is the President of the Jordanian Society of Plastic Reconstructive Surgeons, a Member of the American Society of Plastic Surgeons, Member of the International Society of Aesthetic Plastic Surgeons and a Member of AO CMF; Jordan Chapter. Currently he is a Consultant Plastic Reconstructive Surgeon in the Private Sector, Chief of Plastic Reconstructive Surgery, King Hussein Cancer Center since 2003, President of the Jordanian Society of Plastic Reconstructive Surgeons and Examiner for the Jordanian Board of Plastic Reconstructive Surgery since 2010 Previous Posts include Assistant Director General of the Jordanian Royal Medical Services for Medical Affairs and Regional Medicine from Nov 2016 until retirement from Active Service in June 2017, Chairman of Dep. of Surgery, Jordanian Royal Medical Services, Dec 2013- Nov 2016 and Chief of Plastic Reconstructive Surgery, King Hussein Medical Center, Oct 2009 – Dec 2013. Dr. Haddadin serves as the leading Medical Director for Children of War Foundation in Jordan and surrounding region. Dr. Mark M. Urata is the Audrey Skirball-Kenis Chair and Chief of the Division of Plastic and Reconstructive Surgery of the Keck School of Medicine of USC. He is also Head of the Division of Plastic and Maxillofacial Surgery at Childrens Hospital Los Angeles and Director of Craniomaxillofacial Surgery at Cedars Sinai Medical Center. Dr.
book chapters and has been voted amongst the nation’s top surgeons according to multiple sources including U.S. News and World Report, Best Doctors and America’s Best Plastic Surgeons. He maintains NIH funded research within the Center for Craniofacial Molecular Biology related to defining TGF Beta signaling in palatogenesis. He is also interested in computerized planning of Le Fort III and orthognathic surgery and outcomes studies on cleft lip and palate. Dr. Osama Hamarneh heads COWF’s E.N.T. surgery outreach in Amman, Jordan. After graduating from medical school in Jordan, Dr. Osama completed basic surgical training in England (MRCS & DOHNS) and then spent 2 years in cancer research investigating the role of tumor immunology in Head and Neck cancer (MD, The University of Hull). He then completed additional surgical training in ENT surgery across the west midlands, UK (FRCS ORL-HNS) and subsequently completed the prestigious national fellowship in Head and Neck Surgical Oncology and Reconstructive Surgery at Sheffield Royal Hallamshire Hospital, UK. Dr. Osama is passionate and proficient in all aspects of ENT surgery, especially in new frontiers such as endoscopic anterior skull base surgery, trans oral laser & robotic surgery, minimal access thyroid surgery, microvascular reconstructive surgery and aesthetic facial surgery. As a healthcare professional and educator, Dr. Osama is regularly involved in training and education, being a faculty member at a number of ENT courses and a previous trainee representative at the Midlands Institute of Otolaryngology council. He has lectured at numerous international presentations nationally and internationally, publishing over 15 papers in peer-reviewed journals and 3 book chapters. In addition to joining COWF's healthcare leadership team, Dr. Osama’s charity work includes working with Syrian and Iraqi refugees through the charity group Caritas International and Atfaluna, meaning “Our Children” Jordan, providing underprivileged children across Jordan and the greater region access to healthcare. Dr. Ziad Dahabreh MB BS MSc FRCS (Tr & Orth) Consultant in Trauma & Orthopaedic Surgery, Hip and knee reconstruction & knee sports injuries specialist. Dr. Ziad Dahabreh specialises in hip and knee surgery and fracture treatment. He has worked as a consultant orthopaedic surgeon in the United Kingdom (UK) and has expertise in total hip and knee replacement surgery, anterior cruciate ligament (ACL) reconstruction, arthroscopic surgery of the knee, knee osteotomies, as well as, surgical and non-surgical treatments of fractures. Dr. Dahabreh is also responsible for training and examining orthopaedic trainees. He has had extensive involvement in research which he has published and presented internationally. Dr. Dahabreh’s comprehensive surgical and orthopaedic training programme in the UK for over 12 years included working with renowned surgeons, as well as, obtaining a prestigious fellowship in Harrogate. After being awarded the certificate of completion of training in trauma & orthopaedic surgery (CCT) in the UK, Dr Dahabreh spent one year of fellowship training in Australia at the Sydney Orthopaedic Research Institute and the Royal North Shore Hospital. Dr. Dahabreh worked as a full time consultant in the UK before relocating to Jordan in the summer of 2015. Dr. Dahabreh currently consults at his private outpatient clinic in Amman, Jordan. He still practices in the UK as a part time consultant. Dr. Dahabreh is a fellow of the Royal College of Surgeons of England and has a Master of Science (MSc) degree in orthopaedic engineering from the University of Cardiff. He is a member of the British Orthopaedic Association (BOA), the British Association for Surgery of the Knee (BASK), the British Trauma Society (BTS), and the Jordanian Medical Union. Dr. Nasri was born in Jerusalem, attended primary school in Amman, Jordan and secondary school in Lebanon. His pre-medical education took place in Surrey, England and he attended medical school in Birmingham, England, graduating in 1978. Nasri then began his postgraduate training at the University of Toronto. He completed a straight surgical internship in 1978-79 at Toronto General Hospital (TGH), followed by neurosurgical training at UofT from 1979 to 1984. Nasri was certified in neurosurgery by the RCPS(C) in 1984, and then was the Botterell Fellow in Neurosurgery at TGH (1984-85). After a brief stint as an attending staff neurosurgeon at Sunnybrook Medical Centre (1985-86), Nasri returned home to Jordan, where he has been Director of Palestine Hospital,founded by his father in 1960, and where he has mainly practiced. Throughout his career, Nasri has maintained strong professional and personal ties with Canada. Nasri has held appointments at Yarmouk University Medical School in Jordan, Jordan University Hospital, St Luke’s Hospital in Nablus, Palestine and the Jordan University of Science and Technology. He has been chair of the Section of Neurosurgery at Al-Hussein Cancer Center in Jordan (2003-2006). Nasri has been very active in organized neurosurgery and neurosurgical education and accreditation in the Middle East. Indeed the HCAC designation he has earned recognizes that Nasri is a Certified Hospital Surveyor, by the Health Care Accreditation Council of Jordan. Selected positions over his career include Coordinator of a CIDA funded cooperation project involving the Palestine Hospital and UofT, founder, committee member and medical subcommittee convenor for the Society for Care of Neurological Patients in Amman(1986-87 and 2010-13), and three terms on the Executive Committee of the Jordan Neuroscience Society. He has served several times on the neurosurgical subcommittee of the Jordan Medical Council, including as Vice Chairman (2012-2014), and was President of the Society of Jordanian Neurosurgeons (2010-2012). Nasri has represented Jordan at the Pan Arab Neurosurgical Society and the WFNS. He has played a leadership role on the Regional Health Committee in Limassol, Cyprus, and served on the governing boards of several schools and the Episcopal Church in Jordan. Nasri was the Founding Director of the ThinkFirst Injury Prevention Program in Jordan (2005). Nasri has made numerous scholarly presentations throughout the Middle East on a wide range of topics, from health care organization to neuro-oncology, trauma, peripheral nerve, spinal and vascular neurosurgery. Andrew Paul Ordon, M.D., F.A.C.S., ABPS, ASPS, sometimes billed as Dr. Drew Ordon, is a plastic surgeon and an Emmy-nominated co-host of the award-winning talk show The Doctors. Dr. Ordon is a diplomat of the American Board of Plastic Surgery, the American Board of Otolaryngology, the American Board of Cosmetic Surgery and the National Board of Medical Examiners. Dr. Ordon is affiliated with the University of Southern California, Cedars-Sinai Medical Center in Los Angeles and Eisenhower Medical Center in Rancho Mirage, California. He currently practices in Beverly Hills and Rancho Mirage, California. In addition to practicing, Dr. Ordon is an educator, currently a co-director of the Keck/USC Aesthetic Fellowship. 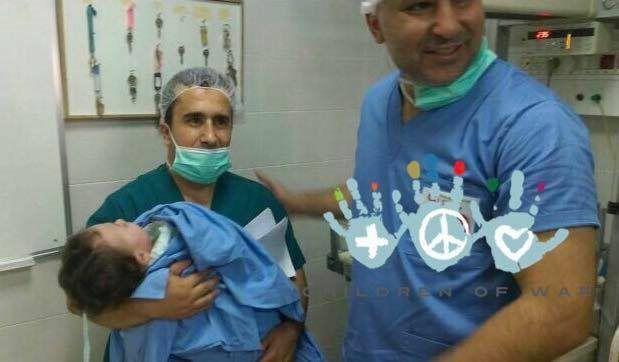 Dr. Ordon also co-founded Surgical Friends Foundation, merging with Children of War Foundation in 2013. Claudia has been involved with COWF since the organization's inception in 2010. Claudia was born in Cyprus where she spent her early childhood. She is an accountant educated in England. Residing in Beverly Hills, she works as a financial consultant and Private Client Realtor with numerous clients. Claudia is active in fundraising and outreach for COWF's Los Angeles base. Having lived through a war and having become a refugee herself, “Children of War foundation” has special meaning to her. She has seen the devastation of war and understands the effects that it takes, both mentally and physically. She is the proud mother of Carl and Emile Nicolaou both successful entertainment lawyers. Both of Claudia's son are legal advisors and consultants for COWF. Co-Founder of London’s premier members only Wellness center, LMS Wellness, Dr. Enayat is a surgically-trained general practioner with a medical management degree from Imperial College London. With a desire to innovate. He is inherently focused on bringing advancements to the world of medicine. Relentless in his pursuit of integrating the most cutting-edge, life enhancing methodologies to LMS Wellness. Dr. Enayat’s extensive training has taken him from South Africa to San Diego, where he immersed himself in stem cell technology. He established his reputation as an innovator in medicine by being awarded the opportunity to partake in the prestigious Darzi Fellowship for Clinical Leadership. Recognizing that combining multiple disciplines was key to achieving a seismic shift in health optimization, Dr. Enayat was drawn further into the world of functional medicine. Investigating the diverse methodologies to achieving infinite vitality – from ancient Eastern therapies to traditional Western medicine – has since allowed him to curate the most holistic, evidence-based wellness and performance-enhancing offering for LMS Wellness clients. 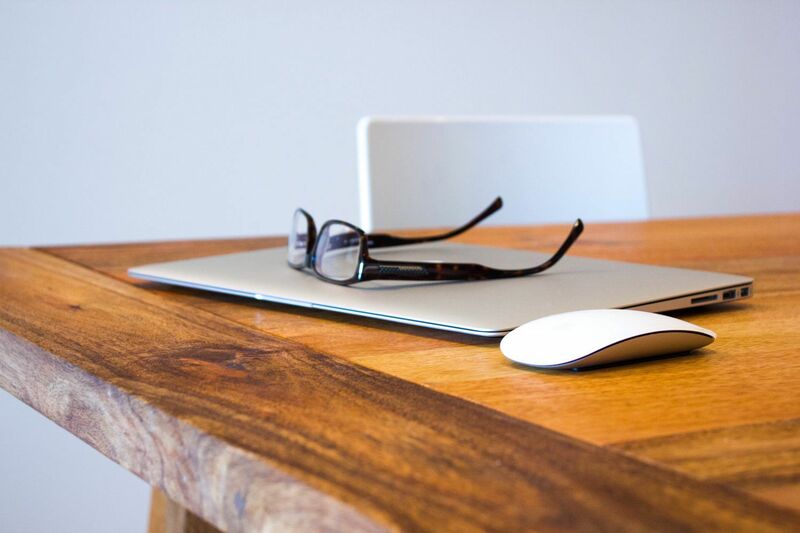 Inventive yet empathetic, Dr. Enayat’s approach is rooted in providing an exemplary client journey, guiding them intelligently on their individual path to discovering their ultimate health goals. Dr. Enayat is a true visionary, ambitious and forward-thinking, who looks to the future of medicine, challenges its limitations, whilst presenting its infinite possibilities. Dr. Enayat lead’s Children of War Foundation’s Global Health and Primary Care outreach base in the United Kingdom, his responsibilities include, insuring sustainable implementation of preventable health measures, general health education and community wellness, including development of programs, curriculum and training individuals in community based initiatives. Avokader is COWF's point of contact for Yemeni refugees in Yemen, Jordan and across the region. His role also includes registering COWF candidates with UNHCR. Mahmoud is COWF's point of contact for COWF candidates in Jordan and across the region. He also oversees COWF relief efforts at several camp sites and impoverished communities in Jordan, in addition to registering COWF candidates with UNHCR. Sami facilitates with COWF's clinical assessment and triage for local and international surgical missions in preparation of case load management for surgical intervention and or further follow up treatments in the Mid East region. Christina Pascucci is an Emmy Award-nominated journalist, pilot, diver, and humanitarian. Her quest to fight for human rights has taken her from central America to Asia. She fell in love with COWF while on assignment in 2014, when she met a young Afghani girl who was receiving life-changing surgery after stepping on an IED. Christina, who has spent the last five years at KTLA in Los Angeles, the number two market in the country, loves the heart and soul of people. Her vision is to continually effect positive change, particularly in human rights and environmental issues. She has dived with hundreds of sharks, including great whites, to expose the shark finning industry. She traveled to Palau, an island nation near the Philippines in late 2016 to sit down with President Remengesau and discuss how other countries can emulate what Palau is doing on the front lines of climate change. Her 2015 investigative reporting into the wasteful water-use policies of the Los Angeles Department of Water and Power resulted in the agency changing its policy to potentially save millions of gallons of water. Sara Abi Kanaan is a Lebanese actress who has starred in several middle eastern series since the age of eleven and has won several prestigious awards, globally. In addition to being an artist, Sara holds degrees in medical laboratories sciences and pharmacy and has volunteered with several NGOs, volunteering for many humanitarian entities. She is an advocate for COWF, spreading awareness about the needs of children’s health care and health education throughout the Mid East region, and giving a voice to families who have been displaced. Sara’s advocacy represents COWF’s vision and mission, to provide equal access to health care and health education for all children, regardless of race, religion or ability to pay. Learn more about our healthcare providers in your region or for information on how to join our Global Health Network and Outreach through MediShareProject contact us at team@cowf.org. Dr. Reinisch has nearly 35 years of experience in treating children with craniofacial deformities, cleft lips and palates, vascular tumors, pigmented birthmarks and microtia (congenital deformity of the ear). He is known worldwide for his groundbreaking design and successful use of a biomaterial implant for ear reconstruction in very young children. After more than 25 years at the Children’s Hospital of Los Angeles, where he established the Division of Plastic Surgery, he is now Director of Craniofacial and Pediatric Plastic Surgery for Cedars-Sinai Medical Center in Los Angeles. Dr. Andre Panossian is a board-certified plastic surgeon who belongs to a select group of individuals with expertise in facial reanimation, brachial plexus injuries, congenital hand and vascular anomalies, burns, limb reconstruction, and cleft lip and palate surgery. Dr. Panossian holds an appointment in the Division of Plastic and Reconstructive Surgery at the USC Keck School of Medicine. He received his undergraduate education at UCLA and his medical degree at Tufts University School of Medicine. Following his residency in plastic surgery at USC, Dr. Panossian trained at the prestigious Hospital for Sick Children in Toronto, where he subspecialized in pediatric plastic surgery. His research interests include exploring the clinical application of composite tissue allotransplantation and elucidating the mechanisms of cerebral adaptation following facial paralysis surgery. Rick A. Friedman, MD, PhD is the Medical Director of Cedars-Sinai's Cranial Base Surgery Program. He also is an Otologist/Skull Base surgeon at USC. Dr. Friedman's current research includes the study of outcomes in the management of skull base tumors and hereditary hearing loss. He has devoted his professional life to ear and cranial base surgery as well as basic science. Dr. Friedman is a member of several ear and skull base surgery societies. He serves on committees for the American Academy of Otolaryngology - Head and Neck Surgery, the American Otological Society, the Acoustic Neuroma Association (medical board member), the American Neurotology Society, the North American Skull Base Society, the Triological Society, and the NIH/National Institute of Deafness and other Communication Disorders (NIDCD) where he serves as an Ad Hoc Reviewer. An orthopedic surgeon with specific interest in sports injuries of the shoulder and knee, Andrew Bulczynski, M.D. joined DISC Sports and Spine in 2009. Committed to bringing his patients back to a pain-free, optimal level of function, Dr. Bulczynski takes a conservative approach to treatment, incorporating modalities such as medication and injections. He will also refer patients to physical therapy, chiropractic treatment and/or acupuncture to repair tissues and structures whenever possible. If surgery is required, Dr. Bulczynski prefers minimally invasive and arthroscopic techniques. Stephen Haddad BCO, director of Ocular Prosthetics, Inc. graduated from Worcester Industrial Technical Institute and completed his training at the American Optical Prosthetic Center in Southbridge , Massachusetts. Stephen Haddad BCO, BADO became a Board Certified Ocularist in 1991. He takes great pleasure in sharing his excellent technical and artistic abilities with his chosen team of Ocularists.Stephen continually refines the process of creating the most advanced artificial eyes available. Stephen is active in his field and participates in training new Ocularists. He is a Board Approved Diplomate Ocularist and Member of the American Society of Ocularists and actively participates in lecturing and attending meetings. He is internationally known for his exceptional work in creating the most natural artificial eyes. William Magee, III, MD, DDS, earned his dental degree at the University of Maryland, then went on to obtain his medical degree at George Washington University. His introduction to Los Angeles began in 2001 when he entered the combined Plastic and Reconstructive Surgery Program at the University of Southern California, where he has remained. After completing the six-year program, he focused his attention on craniofacial and pediatric plastic surgery at Children's Hospital Los Angeles and Shriners Hospital for Children Los Angeles. We're always recruiting volunteer interns, contact us for additional info.